Beechwood Financial believes strongly in personal attention. We take the time necessary to listen to and understand our client’s goals, needs and priorities. We are committed to providing informed and objective financial advice. We’ve structured our firm so that no incentives or influences exist to alter what we believe is in our client’s best interests. The client comes first. We are entirely independent. Beechwood Financial Services is not affiliated with a parent company – brokerage or insurance – that can influence our recommendations. We are not aligned with a custodian so there is no need to move investment assets when engaging with the firm. We are fee-only. Beechwood Financial Services’ only source of revenue is a fixed annual or hourly fee paid by our clients. We do not receive commissions for selling products, referral fees from outside professionals or asset under management fees (AUM) for managing investments. 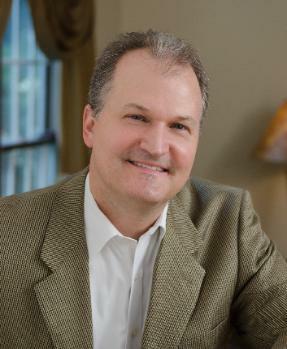 Richard is the founder and CEO of Beechwood Financial Services, LLC. He has over 25 years of experience in the financial services industry. He is a CERTIFIED FINANCIAL PLANNER™ professional and has earned the IRS Annual Filing Season Record of Completion for tax preparation (2016 – 2019). Richard earned his BS in Business Economics from SUNY Oneonta, his MBA from Fordham University Graduate School of Business and completed the CFP® Certification Curriculum at The American College. In his spare time, Richard is a coach of the Verona-Glen Ridge Middle School ice hockey team. He is a past board member and treasurer of the Verona-Glen Ridge Hockey Boosters Association and coached for The Montclair Hockey Club. He also enjoys tennis, golf and music. Richard is a member of the Verona Chamber of Commerce. Integrity – display honesty and candor. Objectivity – act with impartiality. Competence – attain and maintain an adequate level of knowledge and skill that is applied when providing services. Fairness – subordinate one’s own feelings, prejudices and desires so as to achieve a proper balance of conflicting interests. Confidentiality – ensure that information is accessible only to those authorized to have access. Professionalism – behave with dignity and courtesy towards clients and fellow professionals. Diligence – provide services in a prompt and thorough manner.